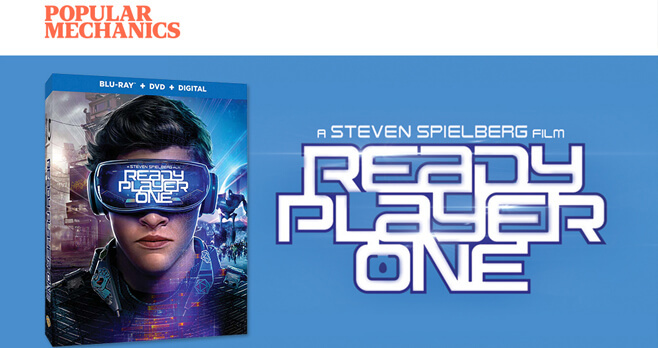 To celebrate the release of the Ready Player One movie on digital and Blu-Ray, Popular Mechanics is giving away a $2,500 entertainment package with the Ready Player One Sweepstakes. Plus, 20 runner-up winners will receive Ready Player One on digital. Prize: Grand Prize Winner will receive a 70” 4K smart HGTV, 4K Blu-ray player, set of high-quality surround sound speakers, entertainment console and a UV digital download of Ready Player One. Total approximate retail value of Grand Prize package is $2,500. Eligibility: The Popular Mechanics Ready Player One Sweepstakes is open to legal residents of the 48 contiguous United States and the District of Columbia, who have reached the age of majority at the time of entry.